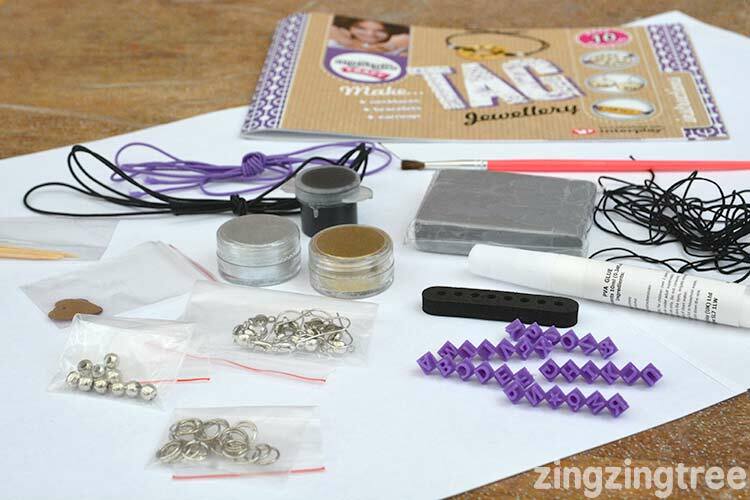 I do love it when a craft kit exceeds all expectations (so many don’t) and this Tag Jewellery Kit by My Style does just that. On first glance I was a bit sceptical but the finished product looks incredibly stylish and cool. What’s Inside The Tag Jewellery Kit? The clay is hard so cut of a small piece and twist it and press it together until it warms pup and becomes soft to the touch. 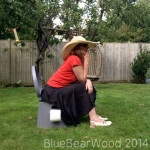 An adult may need to do this. Don’t worry if it crumbles a little to start. This is perfectly normal for this type of clay. As it warms up during the twisting and kneading it will become beautifully pliable … it just may take a few minutes to get there. If it cracks when you roll it out, it’s not warm enough. Now either roll it out, fatten it with your fingers and shape it. Or do a combination of all three. Using an up turned knife is a great way to pat in the sides to make them even. Now you can play with your design. 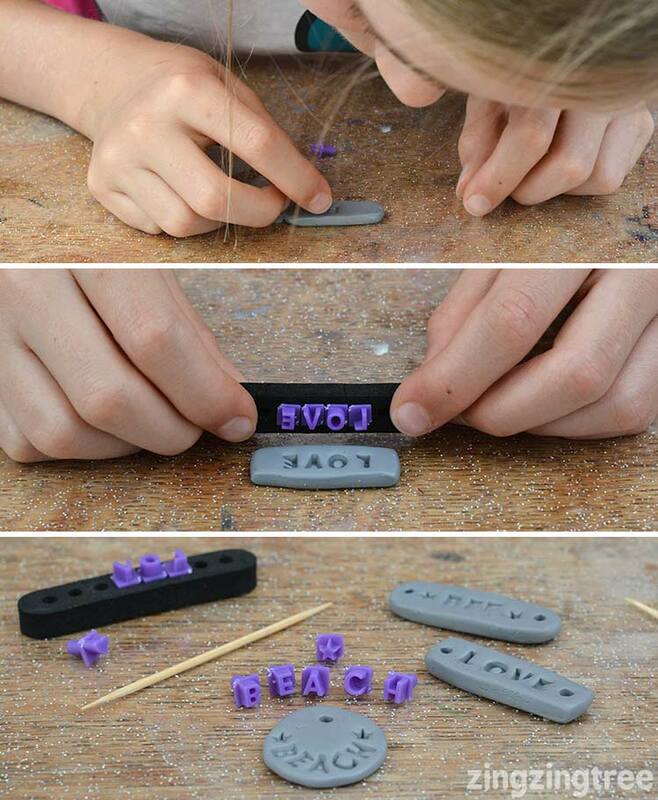 You can push the tiny letter stamps into the clay by hand or use the foam stamp holder, just remember that you need to fill it back to front! Next we covered the back, front and sides with the fine glitter powder. A little can be brushed a long way so I put a small amount in the lid so we didn’t waste to much and used a separate pice of printer paper for each colour. Then it’s time to bake them in the oven. 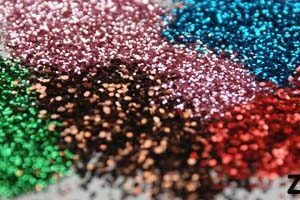 Once cool, water the pva glue down a little and paint it on the back, front an sides to seal the glitter and prevent it rubbing off. Wait until one side dries completely before turning it over! When it’s dried attach your threads and beads following the instructions in the booklet. 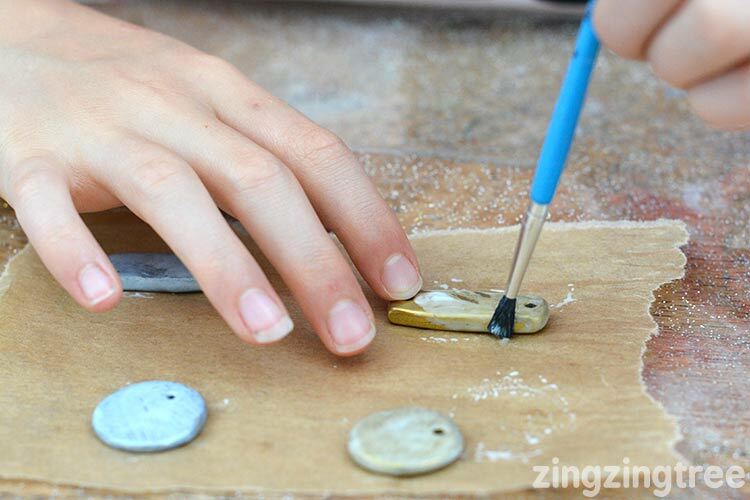 The beads are are small so to make it easier to thread both bits of elastic thread one piece through first and then pull it down over your finger to make it as thin as possible. This gives you room to thread in the other piece. Getting the black paint inside the letters is difficult and you need a much finer paint brush than provided. But even then it’s tricky. I found the easiest was was to paint it on and ten use a rag to wipe away and spillage. I then dabbed a bit more glitter powder into the letter on top of the black. This created a slight colour change and a bit of depth to the lettering. 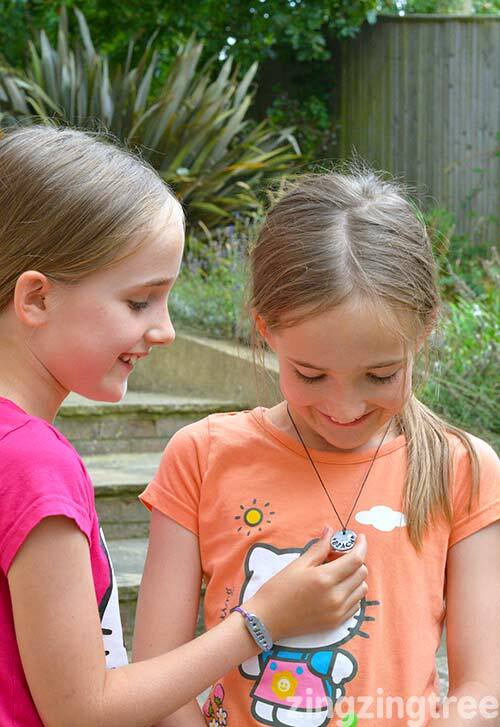 This jewellery kit is great fun and the kids end up with some wonderful and wearable handmade jewellery that looks like it’s been bought. My only niggle is the jump rings are all one size. I think a few smaller ones to attach to the lobster claw would be neater. 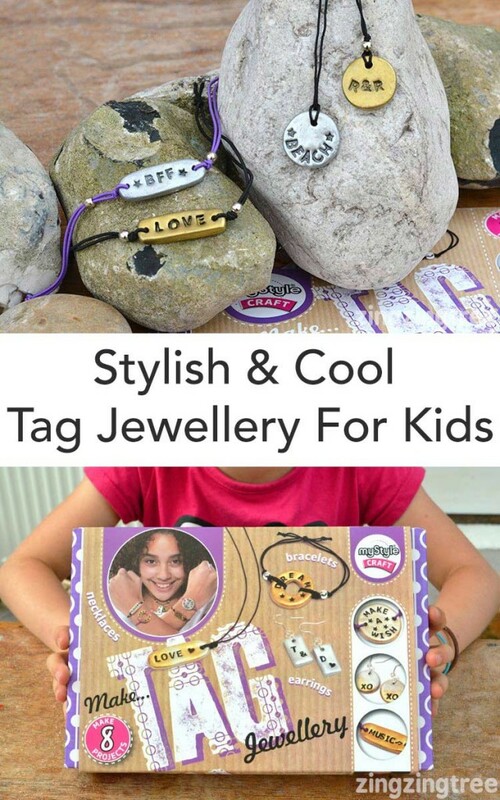 If you’re looking for a craft kit for slightly older kids with street side cool then this Tag Jewellery Kit ticks all the boxes. use small amounts of clay at a time. 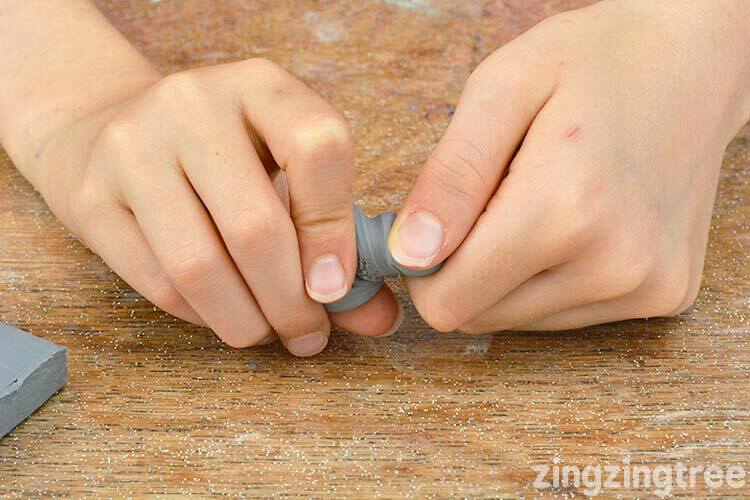 get an adult to help soften the clap and keep any not being used in a grip seal bag. when using individual letter stamps I would suggest starting with the middle letter and then alternate each side so you get an even design. make the hole twice as large as the wooden stick by giving it a little wiggle or you won’t be able to get the cord through when it dries. 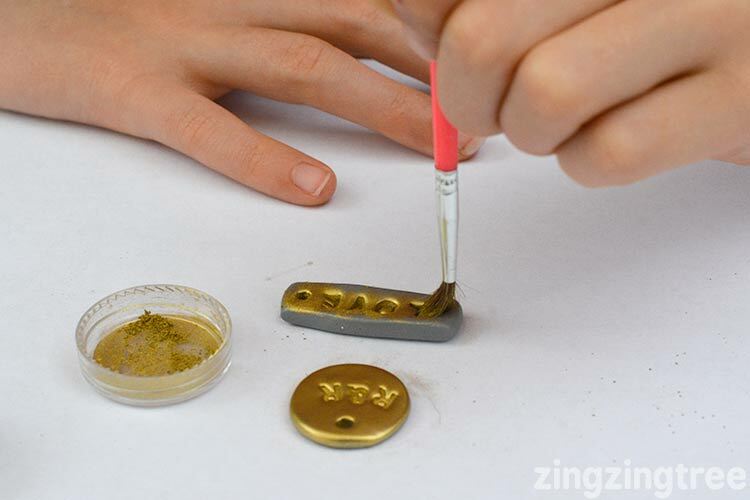 have a teeny paint brush with a good point to apply the black paint. The pointy wooden sticks are way to tricky. The kit was sent free of charge to review. All words and images are my own and I think it’s great. 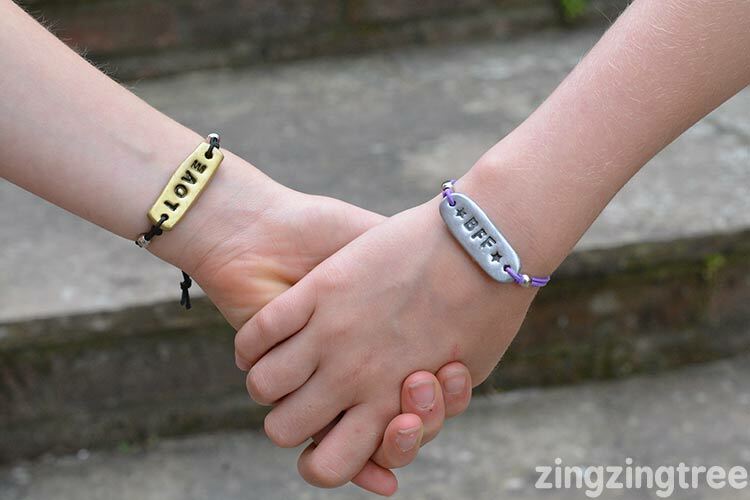 this is really cool and something my daughter would love..she is into crafts and jewellery and making things at the moment as most 8 year old girls are. This looks like something my daughter would absolutely love, she’s much better at arts and crafts than I am! 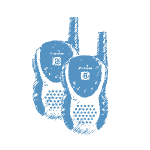 I really love these, they are so effective and stylish! This looks like something my childhood self would have loved to do and it does look fun. This is so great! I would have definitely worn things like these when I was younger!! This looks like such a fun kit, I’d have loved something like this as a kid!